Home » Diet » Nutrition » Foods that Help You Sleep Better: 9 Melanin-rich Foods! Other than providing us with melanin, these foods also help you sleep better due to their other nutrients. They allow us to optimize our circadian rhythm and fight stress. Melanin is a hormone that our body naturally secretes. Its functions are important for our physical and mental well-being. After all, melanin is related to the control of our circadian rhythms. These prepare our bodies for activities such as sleep. Among other things, melanin participates in the neuroendocrine, neurophysiological and immunity processes. 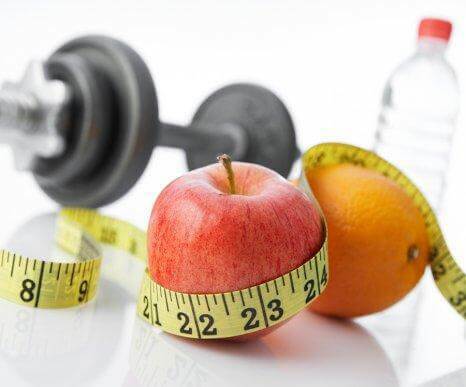 These are essential to complement many vital tasks of the body. And so, this nutrient is in some foods that help you sleep better. However, its production takes place only at night. So when there is interference, the person may have difficulties sleeping and getting rest that recuperates the body. Because of this, it’s important to obtain melanin from the diet and take advantage of some foods that contribute with interesting quantities. 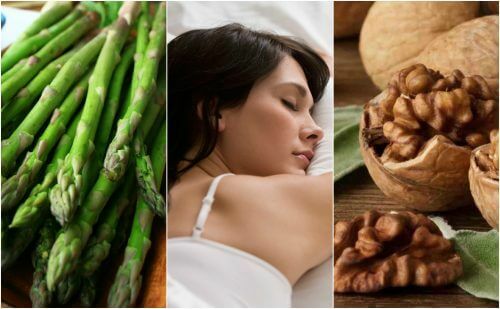 In this article, we would like to share the 9 best foods that help you sleep better so don’t miss out. Onions are a food rich in essential nutrients that improve the production of melanin. They contain vitamins, minerals, and amino acids. Therefore, their absorption facilitates the regulation of circadian rhythms. The regular consumption of onions promotes the elimination of toxins from the body. It also alleviates bloating and retention of fluids. Asparagus is recommended as a natural remedy for insomnia. This is due to the amino acids like tryptophan. This substance helps to increase the secretion of melanin during the night, which is the key to better sleep. Thus, this is one of those foods that help you sleep better. On the other hand, we need to mention its contribution of vitamin C, folic acid, and essential minerals which strengthen the immune system. 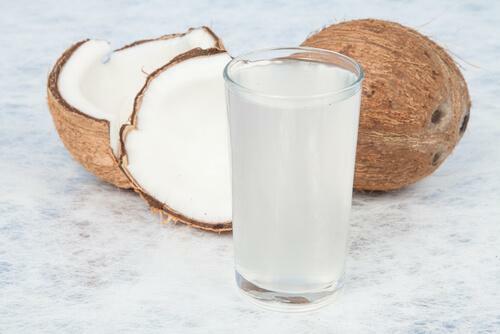 Besides, thanks to its fiber content, it is ideal to improve intestinal motility and prevent constipation. 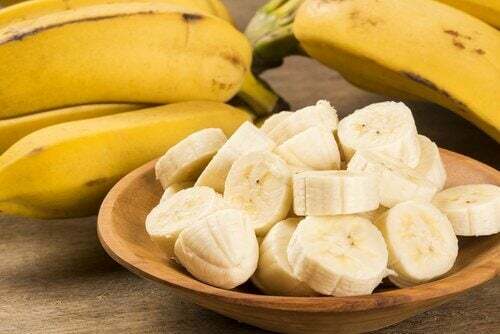 Eating bananas before bedtime is one of the old-time remedies for insomnia. This food provides melanin, the substance that induces the body to sleep. 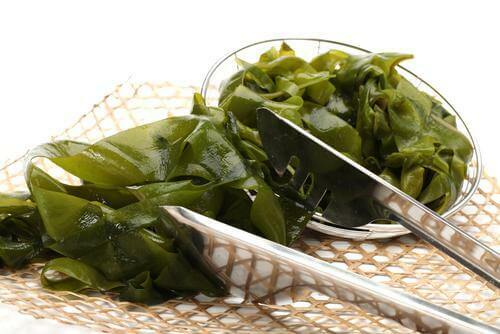 It is also a source of tryptophan and essential minerals that help to avoid muscle cramps at night. Cherries are a universal treat, and they are one of the top foods that are recommended to improve the quality of sleep also. 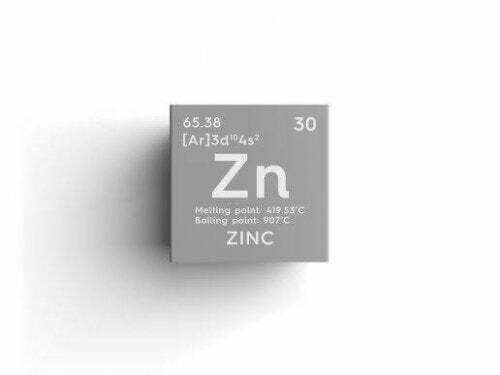 They provide vitamin A, C, and E whose antioxidant effects decrease the negative effects of stress. They are a natural source of melanin and also contain essential minerals that promote muscle relaxation. And so, that is why they are a food that helps you sleep better. Nuts and varieties of dried fruit contain fatty omega 3 acids, a type of healthy fat that combats inflammation, bad cholesterol, and other problems associated with cardiovascular health. They contain small doses of melanin and amino acids, which combine to improve the quality of sleep. Nevertheless, given that they are high in calories, they should not be consumed in excess. Ginger root is a spice with anti-inflammatory properties and antioxidants. 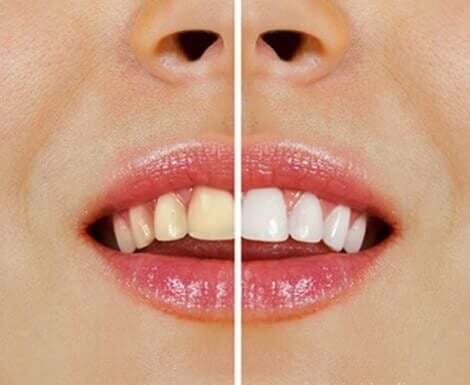 It is ideal to minimize the effects of free radicals. Its natural oils, including gingerol, protect cells from toxins and harmful agents in the environment also. In addition, its consumption promotes the increase of melanin and acts as a relaxant, helping to combat insomnia. 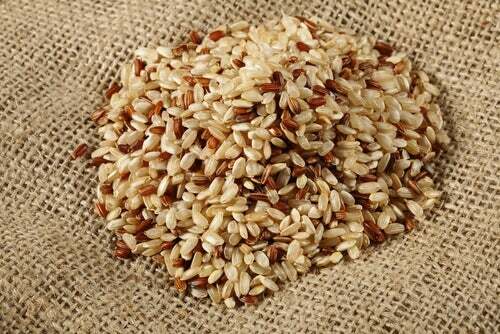 Brown rice is a source of carbohydrates and natural fiber that help to improve the burning of calories to lose weight. This food, which represents an important source of vitamin B complex, is ideal to protect muscles. Additionally, it helps protect the cardiovascular system and the brain. Its consumption, especially during lunch and dinner, adds a little dose of melanin in the diet and induces better sleep. 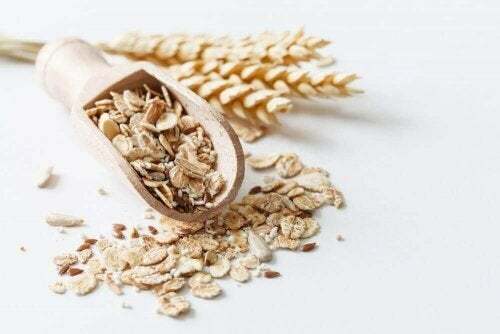 Oatmeal is full of essential nutrients that benefit the body. Believe it or not, it’s considered to be the most complete grain. In fact, it provides a high quantity of tryptophan and amino acids that help to stimulate the production of melanin. Improves the functions of the central nervous system. Helps to maintain a healthy weight also. 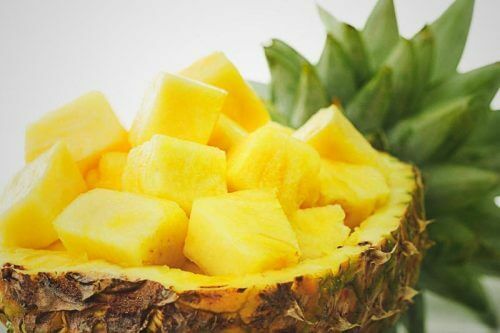 Pineapple contains enzymes and essential minerals that help to regulate the circadian rhythms to main optimal sleep that recharges the body. Additionally, this fruit promotes a balance in the levels of serotonin and melanin. 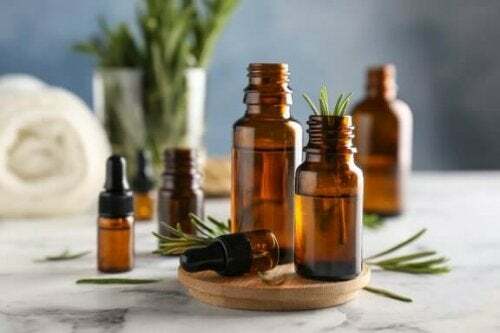 These are substances that participate in the relaxation of the body in order to sleep well. Do you include these foods in your diet? Now you know how good these are to improve your sleep, eat them regularly and take advantage of their properties!